Cricket IPL2019 Highlights of IPL 2019 RCB vs KXIP 28th match, RCB started earning the points. Highlights of IPL 2019 RCB vs KXIP 28th match, RCB started earning the points. 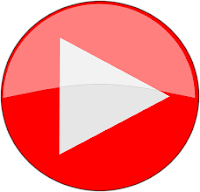 Get live cricket score and the highlights of IPL 2019 RCB vs KXIP 28th match from which RCB started earning the points after a long while. RCB got a win in his 7th match of IPL 2019 after losing previous 6 matches regularly. This match has had played on 13 Apr in Panjab Cricket Association IS Bindra Stadium, Mohali. The highlights of IPL 2019 RCB vs KXIP 28th match was full of entertainments and memorable moments. 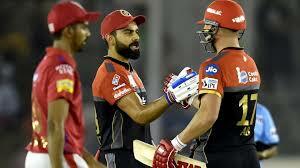 Such as a great partnership between Virat Kohli and AB de Villiers for RCB, missing Chris Gayle his another IPL century by only one run even he remained not out. Virat Kohli the skipper of RCB won the toss and opt to bowl first. Chris Gayle and KL Rahul started inning for KXIP with a blast. They did a partnership of 66 runs for the 1st wicket in 6.2 overs. But KXIP lost the wickets at regular intervals after losing the wicket of KL Rahul. Chris Gayle played a great inning of 99 off 64. He smashed 10 boundaries and 5 sixes but missed his another IPL century by only 1 run. While he remained not out in this IPL 2019 RCB vs KXIP 28th match. KL Rahul 18, Mandeep Singh 18, Mayank Agrawal 15, and Sarfraz Khan also supported with 15 runs to reach subtotal 173/4 in 20 overs. Only Chris Gayle could face RCB's bowlers bravely. Yazuwendra Chahal got 2 wickets while Moeen Ali and Mohammad Siraj got the 1-1 wicket. RCB allowed KXIP to score only 173/4 in 20 overs in this 28th match of IPL 2019 RCB vs KXIP. RCB registered his 1st win in his 7th match of IPL 2019. It could happen due to the best innings of Virat Kohli and AB de Villiers and a great partnership between them. Virat Kohli scored 67 off 53 before losing his wicket. He smashed 8 boundaries in his inning. AB de Villiers played a great and unbeaten inning of 59 off 38. He smashed 5 boundaries and 2 sixes in his inning. He was only the batsman who smashed sixes in RCB's inning. He remained 17th time not out in IPL history in which RCB won the matches 15 times. Marcus Stoinis 28 and Parthiv Patel supported with19 runs in getting the winning target. Mohammad Shami and Ravichandran Ashwin got the 1-1 wicket. RCB is looking a strong team in IPL all team squad but lost his 1st match to 6th math regularly. RCB scored 174/2 in 19.2 overs and won this match by 8 wickets. RCB collect 2 points to go up in point table in this 28th match of IPL 2019 RCB vs KXIP.